Students can access playlists created by their teacher in a couple of different ways. The first step is to enroll your sections in the playlist that you have created. Click on the 'manage classes' button next to a playlist in order to enroll and un-enroll your classes. 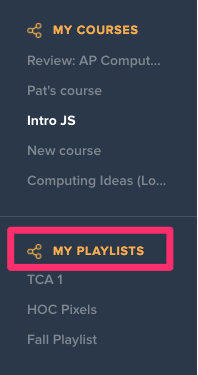 Adjust the toggles to manage class enrollment in your playlist. From their Student page, students can go to their "My Playlists section on the left sidebar of the page. OR students can also view a playlist by going to the URL shared by the teacher. 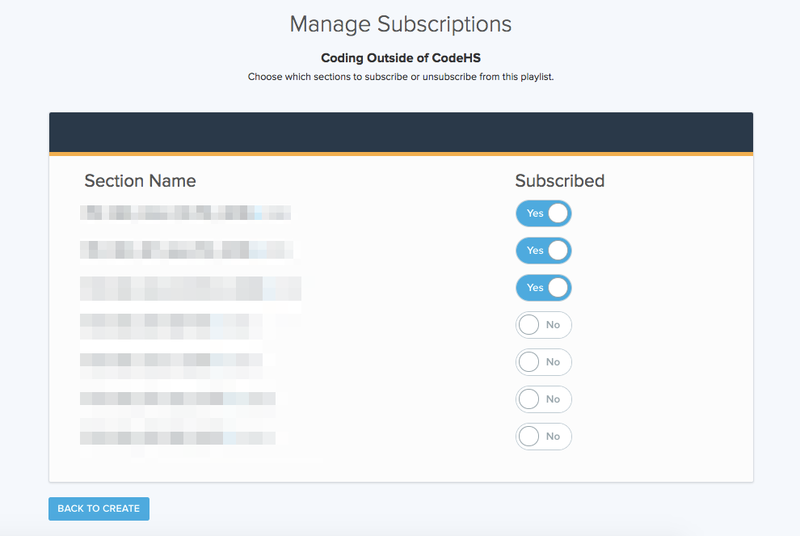 The URL to Playlist #1 is codehs.com/playlist/817.